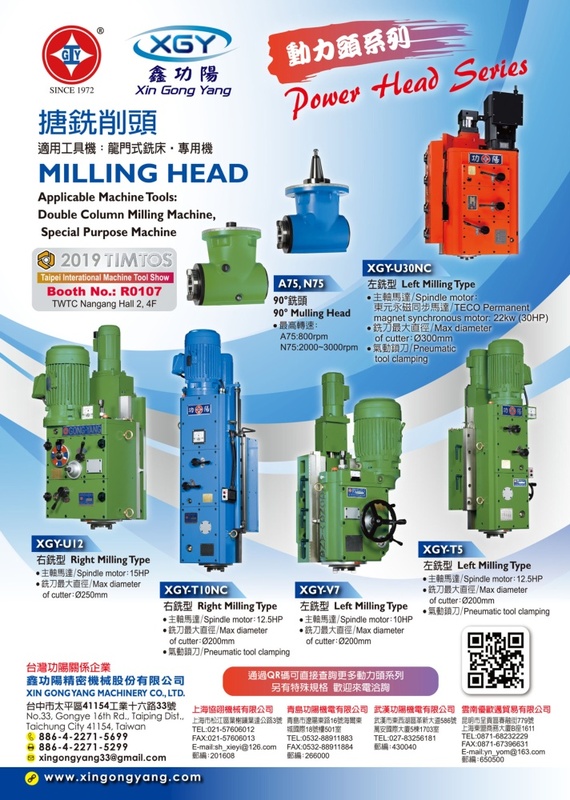 XING GONG YANG MACHINERY CO., LTD.
2019 Taipei Int'l Machine Tools Show (3/4-9), Booth: TWTC R1017, Welcome to visit! markerting managrmrnt and after-sales service in one. The company inherits the spirits of expertise and pursuance of excellence from the company founder, Shih C.L. In order to respond the market variation we will constantly. Upgrade our technological level and dedicate to product innovation, which combined with our insistence on quality excellence to meet the challenge of new century.